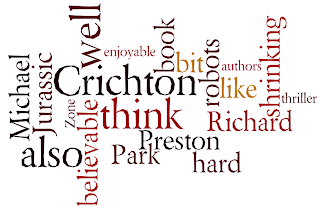 Micro - Michael Crichton and Richard Preston Jurassic Park meets incredible shrinking man (and in this case women). This is an enjoyable book from two authors who argo asters at writing science based thrillers (in fact I can't think of a better match). Is it believable? The shrinking bit I find hard to believe and the level of AI as well is also a bit of a struggle. The premise that the very positive benefits of shrunken robots could have, also comes with a nightmare other side that would be hard to resist is extremely believable (as well as little disturbing to think if you were the creator of these would you not develop the darker applications?). A good all round read if you like Jurrasic Park, Prey and Hot Zone I think you will like this as well. 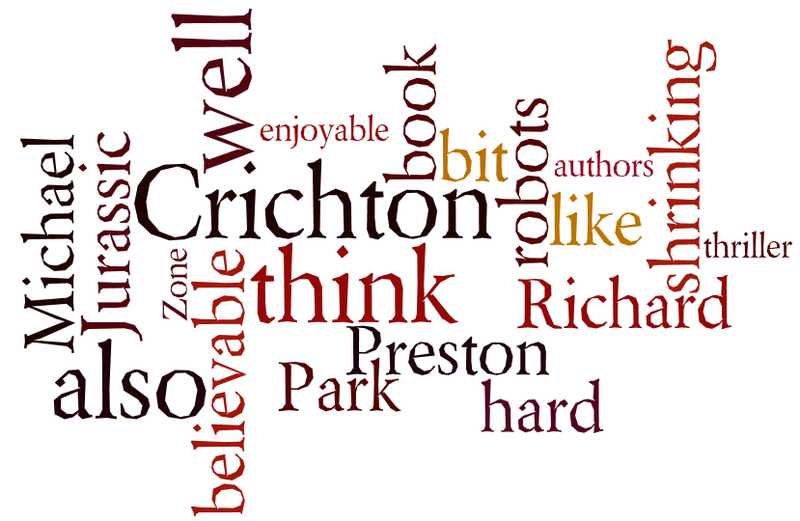 This is also Crichton last book.